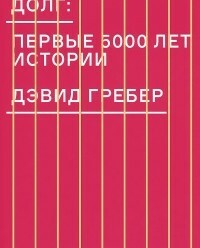 A practical textbook, based on a problem-oriented workflow, that will improve patients’ likelihood of full recovery from stroke and prevent future strokes from occurring Stroke is the leading cause of adult disability and is in the top five causes of death globally. 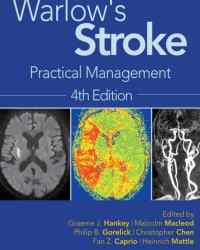 Warlow’s Stroke: Practical Management, 4th Edition takes a problem-oriented approach and addresses the questions posed by a stroke patient in the order they are likely to present in clinical practice, for instance, ‘Is it a stroke?’, ‘What sort of stroke?’, ‘What caused it?’, and ‘What can be done about it?’. Beginning with chapters phrased as questions, the book walks the reader through a standard clinical workflow, exploring the practical skills and assessment required at each stage of patient management. Early chapters cover: locating the vascular lesion, identifying the involved arterial territory, the role imaging should play, and the application thereof. Subsequent chapters look at what causes a transient or persistent ischemic event, an intracerebral hemorrhage and a subarachnoid hemorrhage. Unusual causes of ischemic stroke and transient ischemic attack are also covered. The book then presents a practical approach to the management of stroke and transient ischemic attack; offers specific treatments for acute ischemic stroke and aneurysmal subarachnoid hemorrhage; provides ways for professionals to prevent first or recurrent stroke; and more. Final chapters of the book discuss rehabilitation after stroke, how patients and carers can be supported in the short term and long term, prevention of recurrent stroke, and the organization of stroke services. Warlow’s Stroke: Practical Management, 4th Edition Follows clinical workflow for stroke analysis Features evidence-based approach throughout Offers practical application aimed at improving patient outcomes Written and edited by internationally renowned experts in the field An essential resource for all practitioners involved in the care of patients who suffer from cerebrovascular disease, but particularly suitable for neurologists, residents, geriatricians, stroke physicians, radiologists and primary care physicians.